Settings are backed up as metadata-local.sav.bak; delete both files to reset game settings. <path-to-game>\readme.txt covers save format specifics. Mouse cursor is not locked to primary display. Added in Version 3.0.41.049 (Maintenance Update 1). Set frame rate cap to 60 or 60 (locked). Locked may make game run in slow motion. Choice of frame rate cap: 30, 30 (locked), 60, and 60 (locked). Locked may make game run in slow motion. Start, Back, D-pad and analog sticks cannot be remapped. Mutes and pauses. 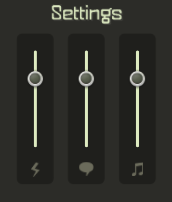 Pausing during cutscenes causes some temporary audio issues. Steam language setting in Properties does not work. 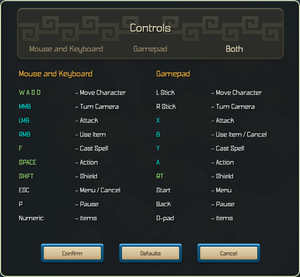 Set language in-game from the menu during gameplay. See Helix Mod: Oceanhorn: Monster of Uncharted Seas. Pausing during a cutscene mutes some sound effects for the rest of that scene and the voice for the rest of that spoken line. Cutscenes can be replayed from the menu at any time to hear what was missed. Change FPS max to 30 or 60. Choose Confirm to apply the change. Run DXSETUP.exe and follow the steps. Launch the game from Steam or a shortcut. Continue playing or return to Console Mode (the new settings will carry over to Console Mode). Open the Catalyst Control Center. 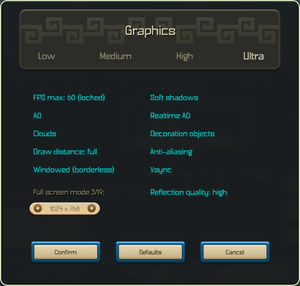 Make or edit the Oceanhorn profile. Go to AMD CrossFireX Mode for 3D Applications. Windows Vista works as of Version 3.0.41.049 (Maintenance Update 1) but is not officially supported. ↑ 2.0 2.1 File/folder structure within this directory reflects the path(s) listed for Windows and/or Steam game data (use Wine regedit to access Windows registry paths). Games with Steam Cloud support may store data in ~/.steam/steam/userdata/<user-id>/339200/ in addition to or instead of this directory. The app ID (339200) may differ in some cases. Treat backslashes as forward slashes. See the glossary page for details. ↑ Oceanhorn - The Adventure Game: Oceanhorn Steam - Out Now! ↑ Oceanhorn - The Adventure Game: Oceanhorn for Mac Appstore - Out Now! ↑ Oceanhorn - The Adventure Game: Oceanhorn comes to Steam March 17th! This page was last edited on 20 April 2019, at 08:30.